A New Word for 2015! It is a blogging tradition these days to choose a word for your year. Last year mine was GRACE. I am convinced the world needs more of it, and I certainly knew our family could use some and give some as well. It is my prayer that we lived up to that challenge! Not happiness, because anyone can be happy, but true JOY. Here is how the world defines joy-"the emotion of great delight or happiness caused by something exceptionally good or satisfying; keen pleasure; elation"
That would seem to me to be the definition of happiness. There are a lot of things that can make me happy. A new book, lunch with a friend, chocolate, a clean room. But all of those things are earthly and fleeting. The news? That the Savior was coming! To Earth! For them! Can you imagine what they must have felt? You see, friends, that kind of JOY only comes from the Lord. And I have been in short supply of it lately, honestly. Not because He hasn't offered it, but because I have been so consumed with my own stinky circumstances that I have not allowed Him to give it to me. I need for that to change! So, this year- JOY it is! It may have to be a minute to minute decision for me some days, but it is one I pray I will choose. Check out other's word choices! 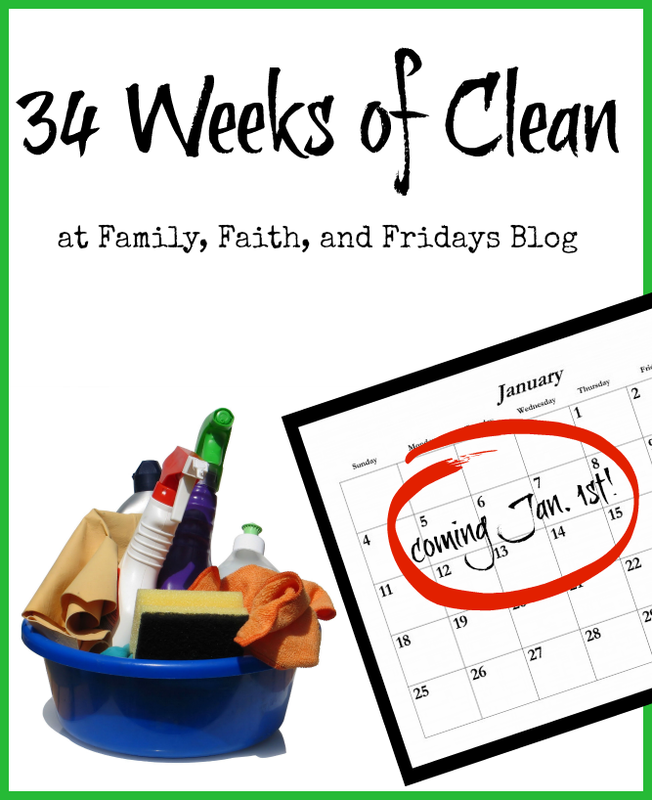 Introducing 34 Weeks of Clean! I know I am crazy but cleaning and organizing is a thing of mine. I love it. Well, I love the organizing more than the cleaning, but I do love it none the less. Call me crazy, but opening a drawer or cabinet and seeing everything in it's place makes me happy. Being able to welcome unexpected guests into my home knowing it is clean and tidy makes me happy. But let's face it, the holiday months are a sure fire way to get behind in all things clean and organized. Ask me how I know. Throw in the unexpected, like a husbands deployment and well, things can get a little out of control. It is time to take back the house! And you are invited to join me. Not here, of course, though that IS an option, but at your house too. I am hopeful I am not the only one that needs a plan and some moral support. So on that note, here's the plan! Each Friday I will post our assignment, from bathrooms and drawers to offices and pictures with some helpful hints and ideas to get you started. We will have one week to work on that particular area and then the following Friday I will have a new assignment AND a link up for you to share your successes. And failures. But hopefully more successes! You can share a picture you posted or a whole blog post on how you wished you had never joined me on this adventure. ;) You are welcome to participate in one, 10, or all! But I hope you will stick around for the 34 weeks! I would love for you to share the series with a friend or two, as well as put the button on your blog! Then make sure you encourage others who participate by visiting their blogs and leaving an encouraging word or two (or showing up at my their house to help!). Why 34 weeks? Well, I want this to be successful and fun, not a burden. I want it to be doable! Let's work hard for 8 1/2 months and then reward ourselves by taking time off for the holidays to spend with our family and friends- in our new and hopefully improved spaces. It sounds like a long time, I know, but with just one task a week, I know we can do this! Are you ready? See 'ya back on Friday, January 2nd for your first assignment, some ideas to help you along, and some pictures of my successes- AND failures. I will be one week ahead of you to cheer you on! Our last Family Scripture Memorization verse! A BIG thank you to all who have followed us through this journey. I pray you have had a blessed 2014 and that 2015 brings you even closer to God- the one who loves YOU most! Once again, I have had the privilege of writing for Our Homeschool Forum. If the name is new to you I encourage you to check them out. You will find awesome articles from over 20 guest bloggers (me included!) as well as reviews and more. Since January is often a time that homeschoolers regroup and many public schoolers come to the dark side (kidding, of course! ), this article I pray will be a timely one for many. Ready to start homeschooling your child...but still unsure? You have all of the books and workbooks. You have all of the supplies and even a cute little area set up to school in. You even have the date circled on your calendar. But you still have that nagging feeling of uncertainty. To read the rest of the article head on over to Our Homeschool Forum as I chat about the What Ifs of Homeschooling! OK, I know we do not know exactly when Jesus was born. I get that. But none the less, we celebrate His birth in 6 days! 6 days ya'll! 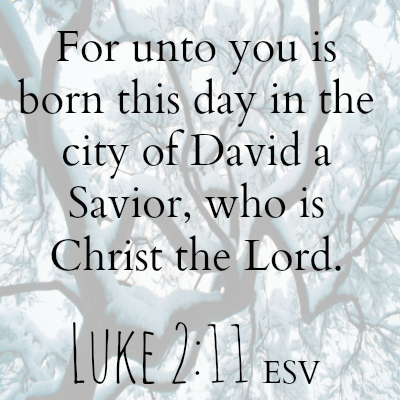 And regardless of when THIS DAY really was, He was born for us! Beginning January 5th and continuing for four Mondays, we will be joining some friends to blog about our homeschooling experiences, our curriculum and more! We participated last year and had a blast, so we are looking forward to this next round! 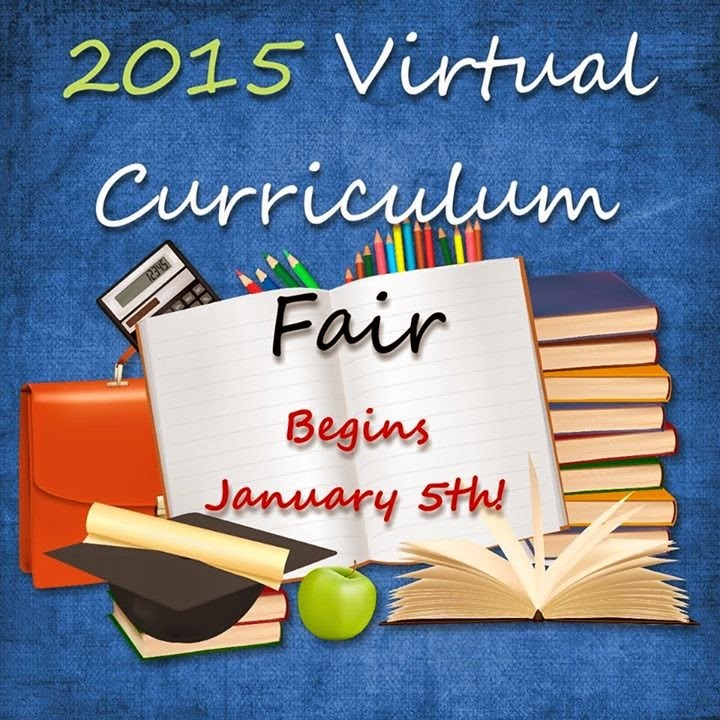 January is a great time to tweak your school plans and the Virtual Curriculum Fair is just the place to get some new ideas and encouragement from fellow homeschooling moms. I hope you will join us. Seeking Beauty- The Arts and everything that brings beauty to our world! Also coming January 2nd, the blog will have a whole new look! Can't wait to see what you think! We also celebrated my oldest this weekend, who finished her last college class on Friday night at 11:15. I know what time it was because I stayed up and watched her write her last paper - on sin! (She is a Bible major) She duel credited her senior year of high school, attended college for 1 1/2 years and the came home to live and finish her last two semesters online. She is an accomplished seamstress and is working to build her business. My heart swells with pride when I think about all she has accomplished, but more than that, I stand at awe at the work the Lord has done in her life. And then there is this guy. The littles call him plus one. They are nice like that. Morgan was baptized at our church this weekend. It thrilled our hearts to be able to witness such a special occasion and to have his family there as well. And then there is my mom. She arrived on Tuesday and is staying until January. I am ever thankful that through the years she has been willing to travel many miles to be with us and help where needed. Sometimes, just an extra pair of hands is a bigger blessing than you can imagine. With our house feeling a bit empty these days, it is nice to have people we love join us to celebrate. So much to celebrate and be thankful for! Have you ever had good news to share with others? The graduation of a child? I love good news. I love hearing it and sharing it. To share our excitement with others is fun. To see excitement on a friend's face as they share warms my heart. 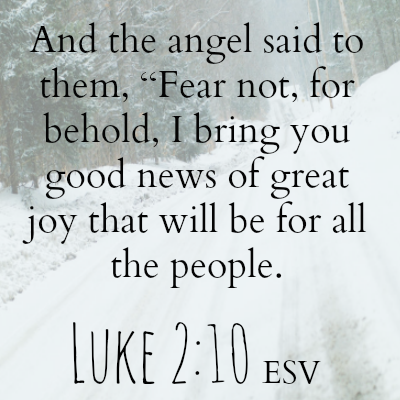 But the best GOOD NEWS of all was shared by an angel! 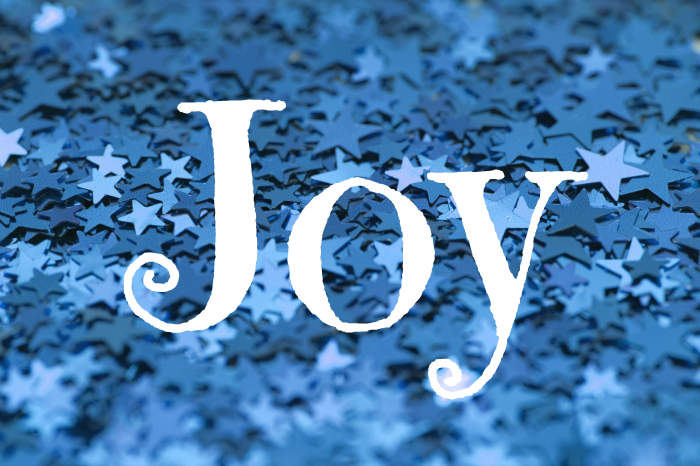 Sure, our news can bring fun and excitement, but JOY? Only that comes from the Lord! And it came many years ago in the form of a baby! And that, my friends, should be taught to our kids! Who Doesn't Love Homemade? Star Ornament giveaway and new Etsy Shop review! I love doing giveaways for you all! It is so much fun to get an email from a winner and hear their excitement. Makes my day! It is even more exciting when I can give away something that is from a personal friend. Let me introduce you to a new Etsy store- Whimsy Home Creations, owned by a sweet friend of mine, Angela. I met Angela when we lived in Virginia and she immediately became like a sister to me. Hey, she likes essential oils, sewing, crafting, and fresh milk, eggs and meat. We just might have been separated at birth. Plus she says "ya'll" too and does not look at me funny when I talk southern. True friend, indeed! My favorite so far are the Crochet Star Ornaments (set of three- $12.00). I LOVE these! They look so pretty on the tree- see? They remind me of a cozy, homespun Christmas in the mountains. Oh, and don't forget the snow of course. Be on the lookout for baby washclothes, baby blankets and more. I know that Angela will be happy to work with you on custom orders as well, if you have a specific color scheme in mind. 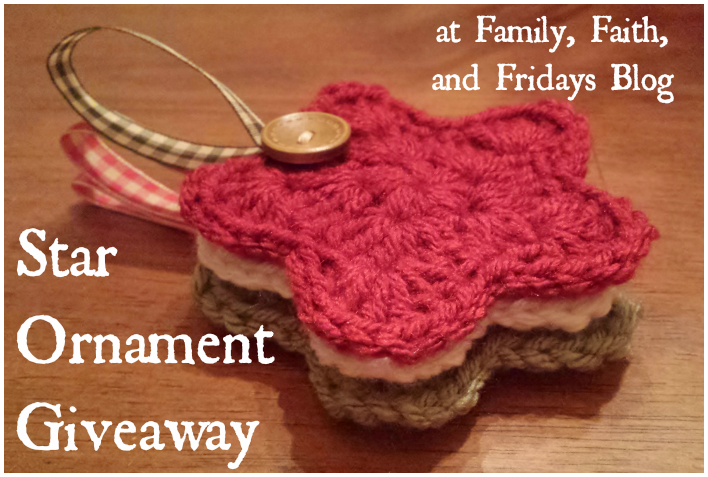 Just in time for Christmas, you can win a set of three star ornaments- just enter the rafflecopter below. As some of you know, I occasionally write for a blog called Our Homeschool Forum, an off shoot of the popular homeschool resource catalog Rainbow Resource. (Did you know they offer over 40,000 products?) Anyway, I love Our Homeschool Forum! If you are looking for a place for resources, support and camaraderie, this is the place for you. They currently have over 25 guest bloggers that talk about everything under the sun homeschool related. 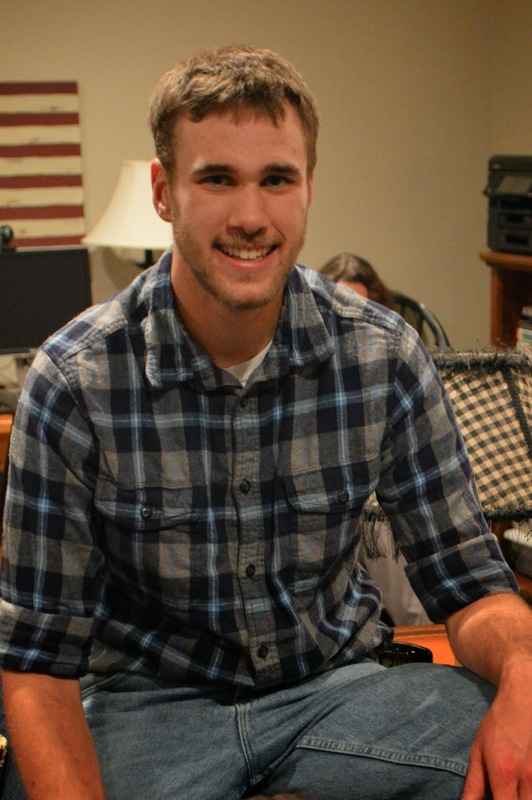 Recently I had the privilege of being interviewed, so I thought I would have some fun and share that with you! Michele, tell me a bit about yourself and your family. We are a military family currently residing in SD. My husband and I have been married 22 years and we have four kids, ages 20-7. I spend most of my time juggling homeschooling and a “normal” life with blogging and reviewing products. Before you had children, did you have a profound realization that you wanted to homeschool your kids? Or was that decided later on? Not at all! It wasn’t until my oldest was four and her sister had just been born that I felt my heart turning towards homeschooling. I figured if I couldn’t get the 4 year old to preschool on time, no way was she going to ever make it to school on time. Haha! Eventually God changed our reasoning and we felt called to homeschool. It is a prayerful decision we make each year. To read the rest of the interview go to Our Homeschool Forum! One more fun giveaway for this month coming on Friday! Hope to see you back! 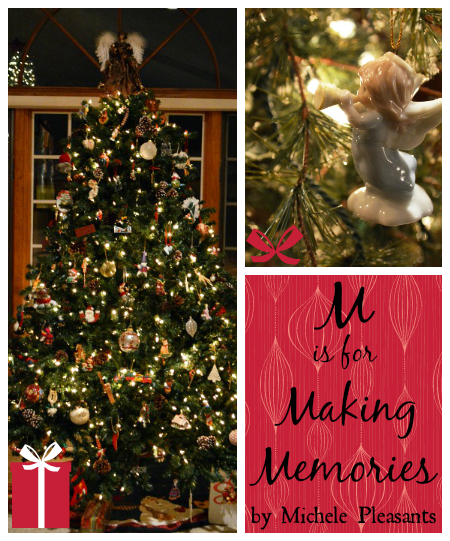 M is for Making Memories- guest post! Are you ready for the holidays? Are you still schooling or taking the month off? Since everyone does it a little differently, I wanted to share some of our thoughts and plans with you. I recently had the privilege of writing a guest post as a part of a series called ABCs of Homeschooling Through the Holidays hosted by Heather Bowen at Upsidedown Homeschooling. I would love for you to drop in and read it...tell Heather I sent you! Homeschooling at best is a busy endeavor. Homeschooling during the holidays? Well, that is enough to make even the best of mommy-teachers want to hide under the blankets with chocolate! Seriously! Who has time to cook, clean, school, AND make a beautiful Pinterest worthy, holiday inspired home? You know- with beautiful trees, homemade cards, handmade gifts, and smiling, joyful children busy doing glittery crafts. Ok, that may be someone’s reality, but I am boldly professing, it is NOT mine. You can read the rest on Heather's amazing site- Upsidedown Homeschooling! 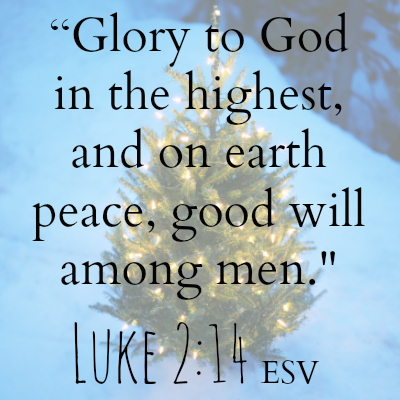 As we focus on our Savior's birth this month of December, I thought it would be fitting to end our 52 week scripture memorization journey with verses that point our children towards Jesus! If you have kids, do you remember their births? Surely you do, even if only a few faint memories. After all, after hearing the gender of your child, their weight and height and then their name, everyone wants to know "How was the birth?" Some of us details people want to know even more details...what was your labor and delivery room like, were the nurses nice, what did you eat, did the doctor show up on time? But Mary. Well, she was unlike the rest of us I imagine. We cannot know what the scripture does not tell us, but I would imagine that the only details she cared about were that she was giving birth someplace safe and warm. 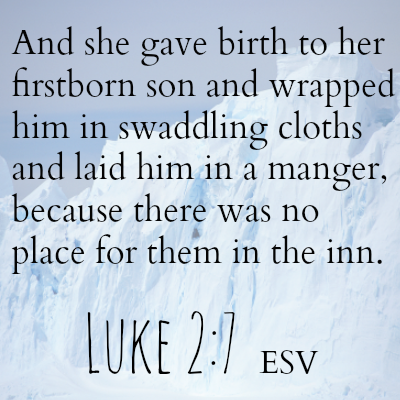 And that her baby, God's son, was healthy. The little details paled in comparison. Because only one detail mattered. 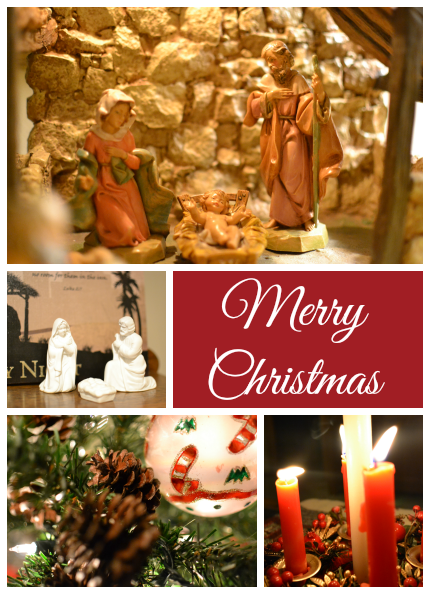 God's own son, Jesus, was born! And the wise men and shepherds- bet they didn't ask a thing. I would imagine all they could do was bow at His side and worship Him. Every year our family reads through the Bible together. And every year it is my prayer that the scripture will be real to them. That it will touch their hearts and they will "see" clearly through the words of the writers of each individual book. But let's face it, that is easier for some than for others. Many people, in order to really understand what they read, need visuals - pictures of some sorts. And unless you are using a child's illustrated Bible, that often does not happen. And often with many those, you lose much of the original text. Unfortunately, when you turn to movies of the Bible you often end up with over dramatized scenes, loosely translated or followed scripture, or poorly done animation. It can get annoying. The folks at Lumo Project must have been annoyed as well. Because what they are doing in ingenious. Really! They have taken the four gospels from the New Testament and made them into full length films using scripture and scripture only. 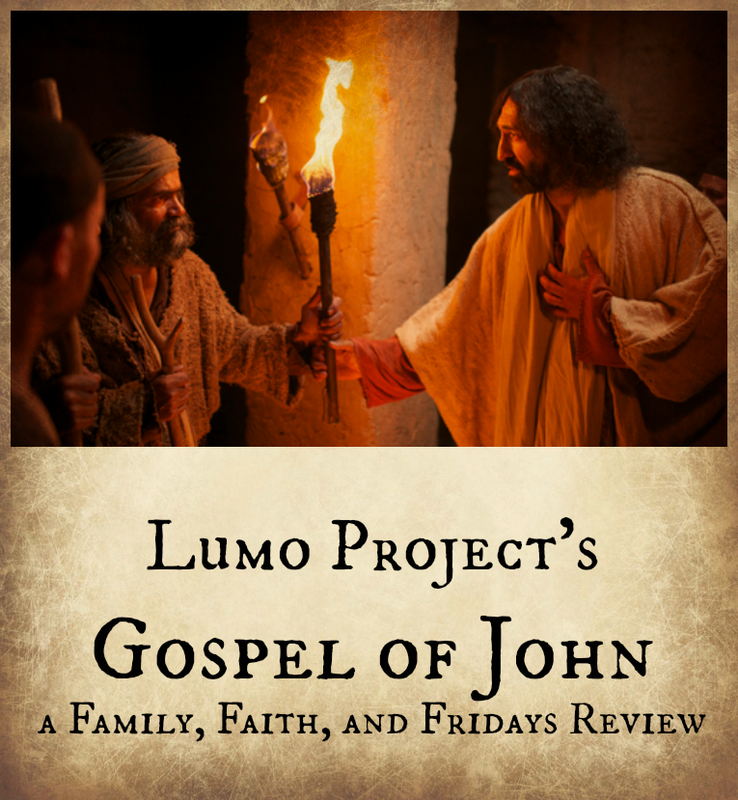 I have had the privilege of watching the Gospel of John and I must say I was enthralled. 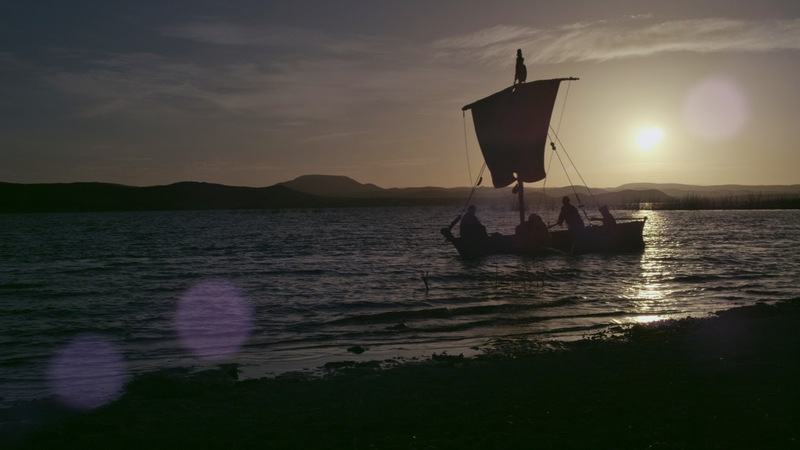 While a narrator reads the book of John, beautiful scenes are shown in the background. While it is being loosely acted out, it is not a word for word dramatization. Imagine a general overview with some scenes being more specific. You can see characters interacting with each other and talking, but you really do not hear the words being spoken. All you hear are subtle background noises and the narrator reading. The few times you do to hear a few words spoken, you realize they are not being spoken in English! Authenticity at its best. To add to that authenticity, the film was shot in Morocco and features rural countryside and authentic villages that make you feel like you are standing in the middle of first century Palestine. Characters are not blond-haired, blued-eyed Americans dressed up for the parts. For families watching this movie, be aware that blood and some violence is depicted. I would personally advise you review it before showing it to your elementary age children as it could upset sensitive children. Also specific to these films is that you can choose from three versions to watch- NIV, King James, or Spanish. The Gospel of John is available on Netflix to view and is 2 1/2 hours long. Grab a cup of tea and your favorite snack and settle in for while. You will not be sorry! The Gospel of John can be found on social media! 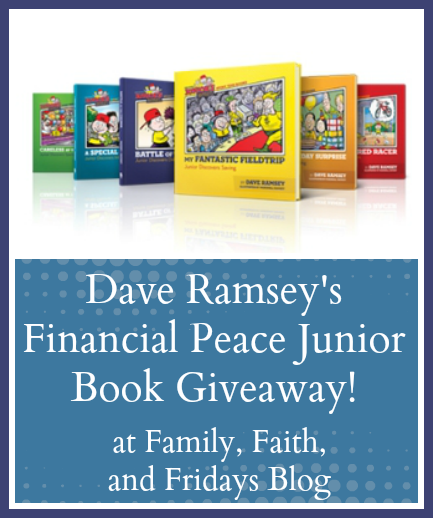 Dave Ramsey's Financial Peace Junior Book giveaway! This time though you can relax, because this lesson is for your kids! We have read several Dave Ramsey books in our married life and I am getting ready to facilitate his highschool and college program for our teens in my local co op. Good stuff! Recently I had the opportunity to buy several of those resources at a sale price, including Financial Peace Junior, which I intend to teach my 7 year old in the spring. Check out the special pricing for it now, as well! Unfortunately the boy is one step ahead of me. Included in the package I received were 6 CDs entitled Junior's Adventure. Show my boy a CD and he considers it his. So immediately he went to his room with them in tow and has been listening to them since. Over and over again. And over! He loves them! From working and saving to giving and spending, these wonderful stories will teach real life ‘stuff,’ and the stories are so fun your children won’t even know they’re learning! We love them so much that I am giving away a Junior's Adventures Boxed Set to be shipped to you just in time for Christmas! I know your children will enjoy reading these cute stories while you get in a lesson or two about money management. It is never too late to learn! For your chance to win, enter the rafflecopter below! What's in the Bible? - Review & Giveaway! I love when we can find a movie that entertains AND teaches at the same time. If I can find one that teaches the Bible, even better! I have heard a lot about the What's in the Bible? series, but only this past week had the opportunity to actually watch one. I have to admit I was a little skeptical about a show with puppets. I was pleasantly surprised and I now see why so many rave about this series! Buck Denver Asks...What's in the Bible, Vol. 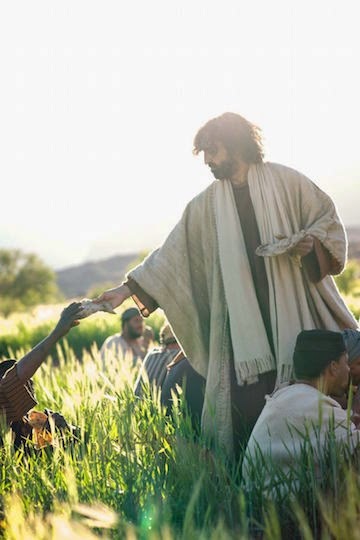 10: Jesus is the Good News, is centered around the Gospels of Matthew, Mark, Luke and John. This 66 minute video is broken down into two parts and can be either watched as a whole or in two, 25 minute sittings. This witty yet informative video is narrated by Veggie Tales creator Phil Vischer. The first section, entitled God's Perfect Timing, focuses on the 400 year span between the Old Testament and the New Testament and how Jesus arrives at just the perfect time. 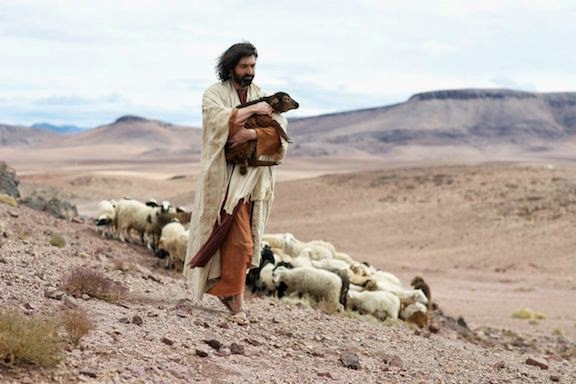 The second part, The Messiah Has Come, discusses the life and ministry of Jesus. While entertaining, this is not just a cute reenactment of a Bible story. Instead, with the help of some cute puppets, creator Phil Vischer teaches about the Bible. Think Sunday School lesson with a twist. I love the interaction between Phil and the puppets. It is cute without being cutesy and entertaining without being full of fluff. It is challenging. This first part of the lesson talks about the "fullness of time." Not a simple concept, but explained very well. The death of Jesus is also discussed in a serious way, with the puppets acknowledging how sad it was. Don't get me wrong, humor abounds, but only in appropriate places. Music! Yes, there is some singing involved. While I know that is not for everyone, my music-loving 7 year old enjoyed the songs. They stay true to the scripture. No glamorized stories or additions here! Be sure to check out the What's In the Bible? website for additional activities for kids and current specials! You can also sign up for church curriculum to go with each episode. 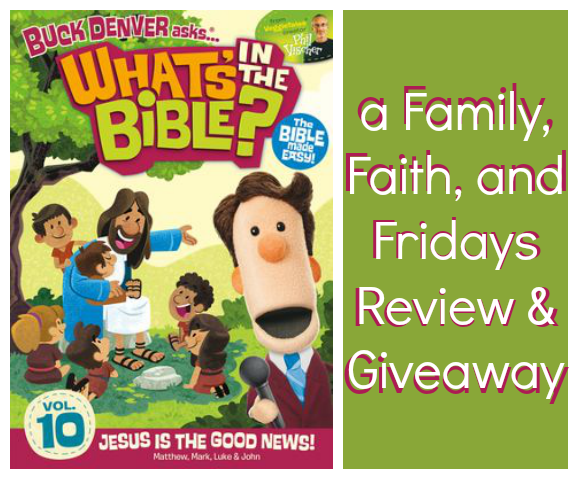 YOU can win a copy of What's in the Bible- Volume 10: Jesus is the Good News! Just enter the rafflecopter below! Have you heard the buzz? Dolphin Tale 2 is getting ready to be released by Warner Bros. Home Entertainment on December 9th on Blu-ray combo pack, DVD and Digital HD in stores across the country. ($35.99) Pretty exciting stuff for the millions of fans that fell in love with the famous dolphin, Winter, from Dolphin Tale! If you are one of the few like me that have not see Dolphin Tale, let me catch you up a bit. (Lucky for you, my kids have seen it!) 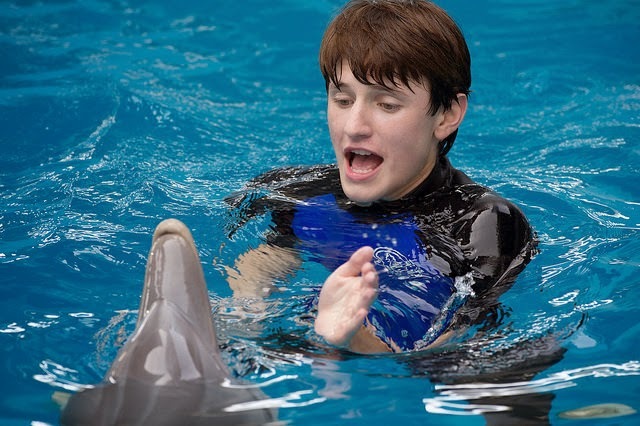 Clearwater Marine Aquarium is a true to life facility dedicated to the rescue, rehab and release of injured marine life. 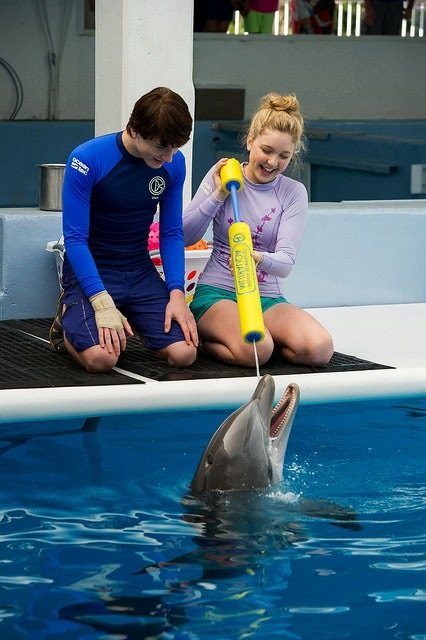 Winter, the feature dolphin, came to the facility severely injured and eventually had to have her tale amputated. While fictitious in some ways, the movie tells the story of how she was rescued and then rehabilitated with the help of a prosthetic tail. The movie became an instant hit and inspired people all over the world, not only for animal rehab, but for people who had lost limbs as well. Winter became a symbol of strength and determination, and she inspired amputees to live life to the fullest. A special webcam was even set up so people could watch Winter from their own home. Enter Dolphin Tale 2! In it, Winter has lost her companion, Panama, and has lost interest in food and socialization. Because of laws meant to protect dolphins, if she does not find another compatible dolphin to reside with, she is at risk of being moved to a different facility. That's where Hope comes in! Hope is a tiny female dolphin that was rescued by Clearwater Marine Aquarium much as Winter was. Their story is one that will have you cheering and wanting to visit them! So sweet! One of the first things that stood out to me about this movie was that while a sequel of sorts, you can watch it without ever having seen Dolphin Tale. Not that I would recommend it, of course! But is is possible. It may take you a few minutes to figure out how some of the characters fit together, but you will be able to follow the story well. The second thing I loved about this movie it that it truly is family friendly. We are pretty strict about our movie choices here and this one passed with flying colors. Ages 7 to adult watched and we all loved it! The last thing that stood out to me was that this is a movie that shows compassion played out as well as the acceptance of others. In the movie, as well as in the special features that shows live footage, amputees are a natural, yet powerful part of the story. I would imagine that, especially for younger kids, seeing someone "like" them would be reassuring and inspiring. All of the original cast returned for this sequel, to the delight of those that loved them in the first movie, and a special appearance is made by surfer Bethany Hamilton. 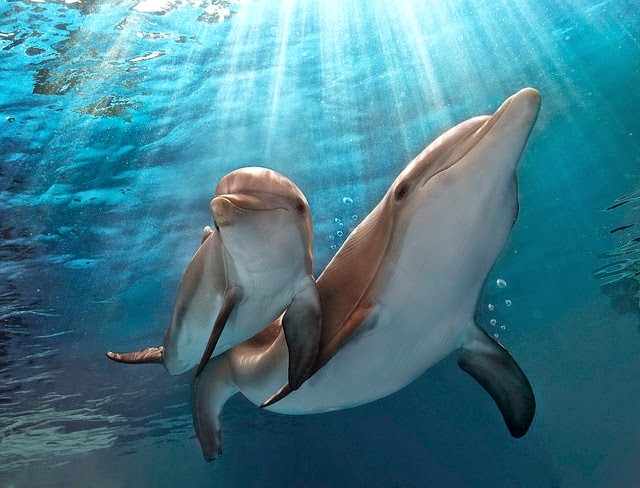 · Cozi Zuehlsdorff - "Brave Souls"
· Gavin DeGraw - "You Got Me"
Good music, good theme, and two dolphins that will capture your heart. It is no wonder that the release of Dolphin Tale 2 on DVD is so eagerly awaited! This would make a great addition to your Christmas List for friends and family! You can find Dolphin Tale 2 on Facebook!